Hello, my dear fashionistas! I think it is time for me to have an intervention…is that usually how that kind of thing goes? Do I submit myself for such? Oh, well…it doesn’t matter because it is highly unlikely that I will change…Anyway…Today, I am going to chat about a fabulous addition to my shoe family! 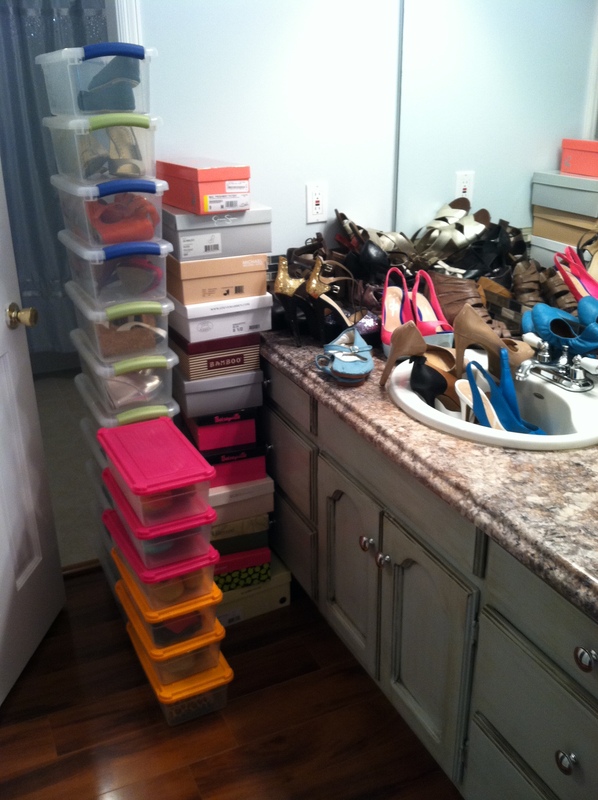 Hi, my name is Abby Hathorn, and I am a fashionista who is obsessed with shoes…. 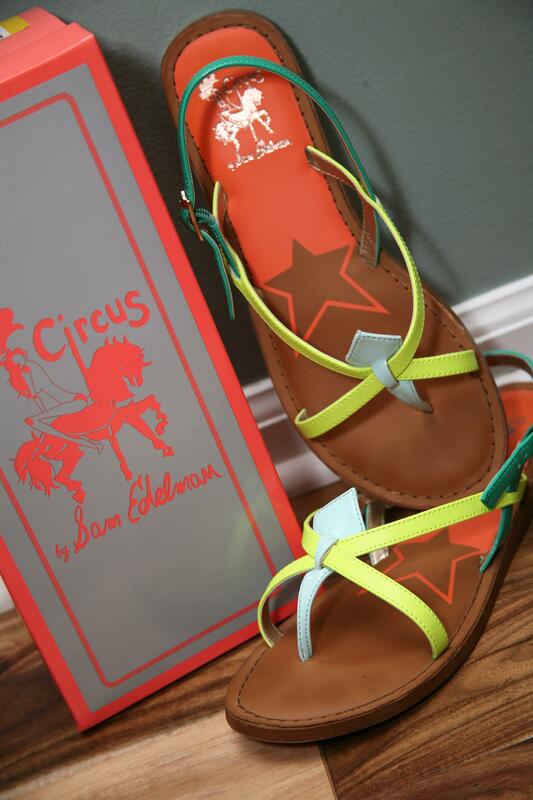 I am so in love with my new lovely summer sandals from Gus Mayer! They are so bright, so unique, and so…ADORABLE! 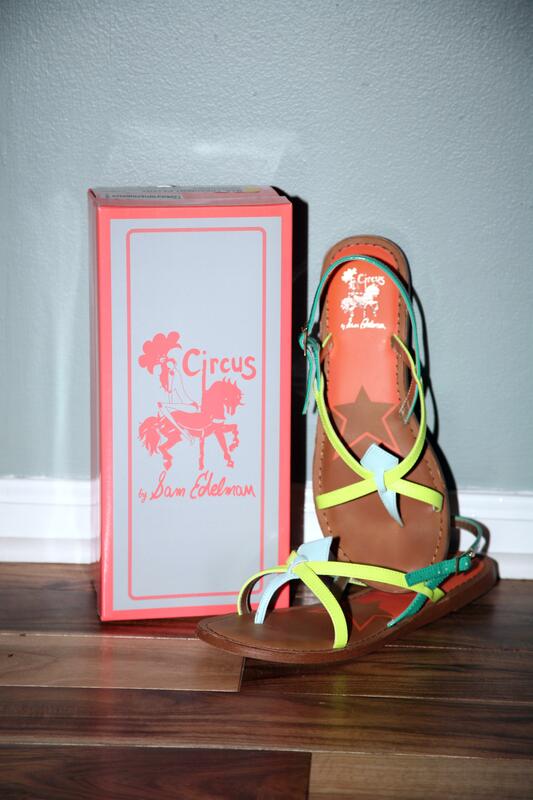 Check out two ways I wore these delightful Circus by Sam Edelman shoes on my blog yesterday! Click here for a direct link. 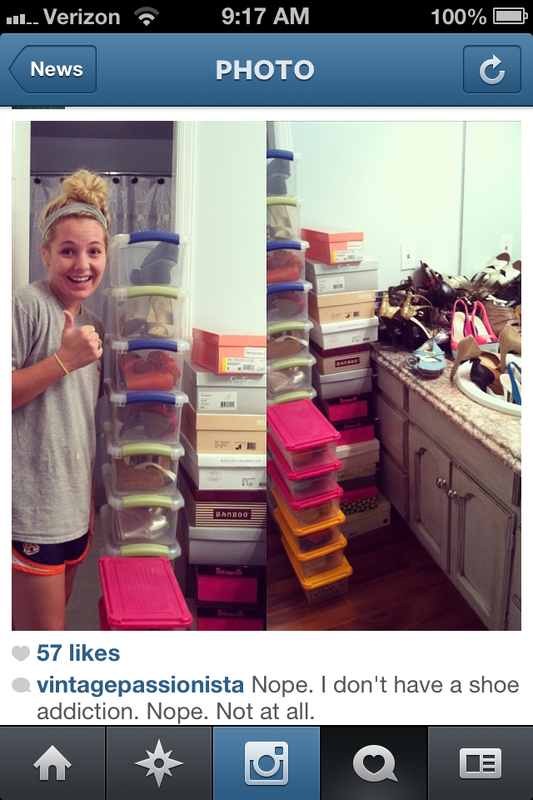 On Instagram, I posted a photo of ALL of my shoes as I was “summer cleaning” my closet. Many of my followers were humored at the fact I had posed (sans makeup) with the stacked boxes just to show how tall they were. 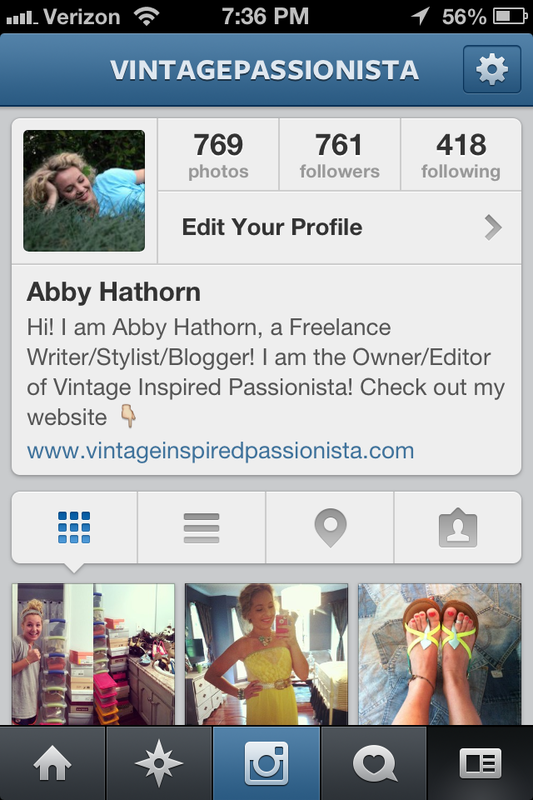 Now…before anyone freaks out, I must add that I am only 5’2″…Anyway, the Instagram caption is true….I don’t have a shoe addiction…nope…nuh uh…not me…not this gal! 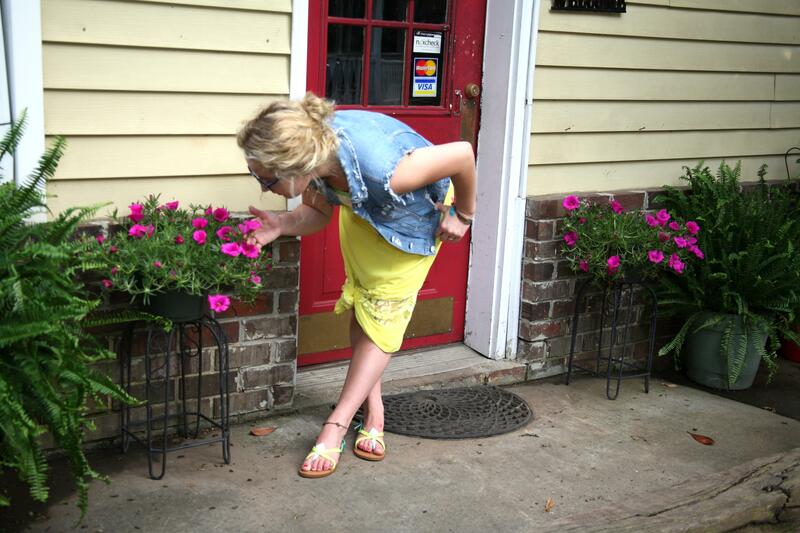 ← Accessories Challenge: First Strapless Dress of Summer!